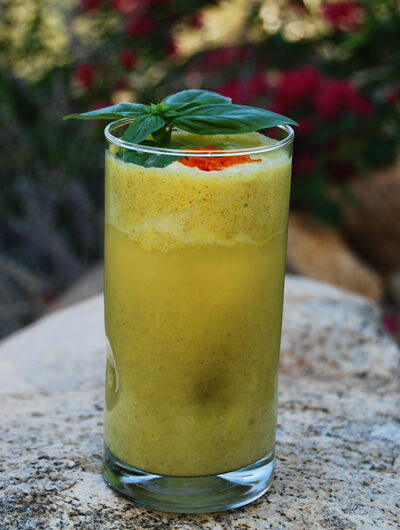 This savory smoothie combines the health benefits of the fermented milk product kefir, the amazing spice turmeric, and ginger. The result is a quick, health-packed, and delicious treat. Blend together, and enjoy a savory drink. You can learn more about the health benefits of kefir in the article: "Maintain a Healthy Gut for Healthy Weight Loss." Find out more about the amazing spice turmeric and what it can do for your health at turmeric.com.